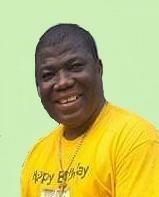 Samuel Midayee Wehjla Jr. was born August 25th, 1980 in Liberia, West Africa to Samuel Wehjla Sr. and TeTe. Samuel was educated in Libera, where he graduated from High School and went on to college. Samuel eventually moved to Des Moines, IA where he met his wife, Tina, and they began a life and started a family in the States. He was employed as a caregiver in a group home, and also worked as Technical Support Staff. Samuel Wehjla passed away on March 26, 2019. Samuel is preceded in death by his parents, TeTe, and Samuel Wehjila Sr. and he is survived by his wife Tina Gbeh, his siblings, Celeste Budu, Regina Smith, Gabriel W., Eugenia Jah, Winnie Gardea, his children, Samuel Jr. III, Samantha, Patience Grant, Neymah, and Fosterna. He memory will be cherished by all that he was connected to and he will be dearly missed. Funeral services are planned for 11;00 on April 20, 2019, at Glad Tidings Assembly of God, in Des Moines, Iowa. There's still time to send flowers to the Funeral Service at the Glad Tidings Assembly Of God at 11:00 AM on April 20, 2019.